Muscle pain that is reoccurring and chronic in nature is a widespread problem. 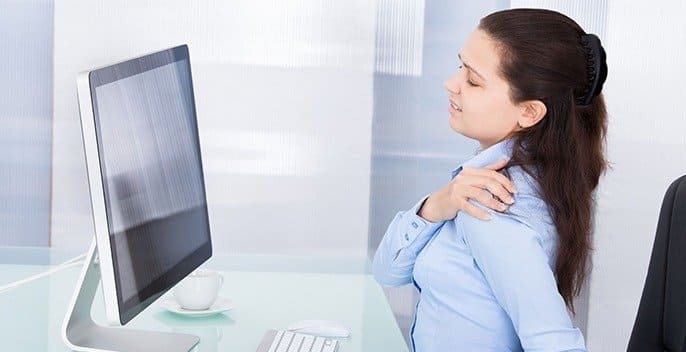 Known in the medical field as myofascial pain, this dysfunction often begins in the neck and spine and then spreads to the surrounding connective tissues and muscles. Patients who suffer from myofascial pain are often frustrated because this condition has no associated clinical markers or laboratory diagnostic evaluations to prove its existence. However, the field of chiropractic care provides lasting and effective solutions for people who experience this type of pain on a regular basis. The most commonly observed subset of this pain disorder is known as cervical myofascial pain. This means that the vertebrae of the neck, which are known as the cervical spine, are implicated in muscle and connective tissue strain. The tissues that surround muscle and bone are known as fascia, and can become inflamed and overly-taut from trauma or overuse. Accessing effective treatment from compassionate and sensitive healthcare professionals is often a challenge for people who suffer from this pain disorder. Conventional doctors may doubt the patient’s self-reported symptoms, dismissing the individual as an over-exaggerator, hypochondriac or malingerer. The therapeutic care offered by chiropractors encourages the cervical musculature to loosen and re engage healthfully with the surrounding bones and fascia. Offering hope and pain relief, chiropractic care is the best option for those suffering from chronic pain.